In space, no one can hear you scream . 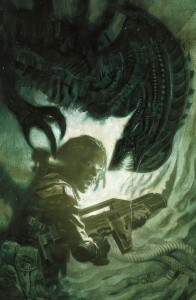 . . Aliens: Defiance follows struggling Colonial Marine rookie Zula Hendricks as she goes AWOL to protect Earth from an unknown alien species.